While typical MDD approaches initially consider generating content out of model, it is also very useful and convenient to be able to generate content from objects of a model, i.e. using instances of classes defined in the model. This feature was introduced in Tigerstripe since 0.3. This article presents a brief overview of how to set up a M0-Level Generation Plugin, run it on an instance diagram to generate content. Note: the projects used in this article can be downloaded from M0-gen-sample.zip. 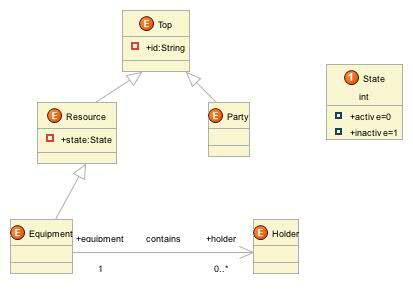 Out of this model, we have created an instance diagram as shown below. Create a global rule in this Generation Plugin to walk the content of an instance diagram and generate an XML file. M0-Level Generator projects are similar to M1-Level Generators Project in that they host a descriptor (m0-generator.xml), a src/ directory that may optionally contain Java code to use in the generator, and a templates/ directory to host any template used for generation. Let's create a template first. Right-click->New->File on the templates/ directory. Let's call it xml.vm (note that the .vm extension is required). In the template above, we are simply iterating over the content of both these lists to populate the content of generated file. the template: xml.vm, i.e. the template we just created above. the output file: output.xml, as the file to create. Save, and navigate back to the Overview tab of the m0-generator.xml descriptor to locate the "Package and Deploy this Plugin" hyperlink in order to deploy the M0 Generator Plugin. Hit it. A dialog box should confirm that the plugin was successfully deployed. Once a M0 Generator plugin has been deployed, it needs to be enabled in the Model Project where you want to trigger it. To do so, similarly to a M1 Generator Plugin, open the corresponding Model project descriptor (tigerstripe.xml), navigate to the "Plugin Settings" tab, and enable the M0 Generator plugin. Make sure you save the change to the tigerstripe.xml descriptor. Finally, open the instance diagram you want to trigger this M0 Generator plugin on, right-click on the diagram and select "Generate...". A wizard will open, the M0 Plugin should be pre-selected. Click finish. This article focused on generating content based on instances defined in a diagram. 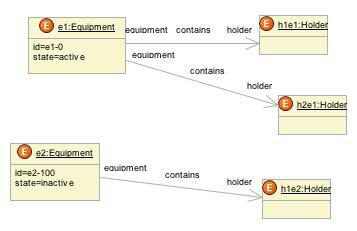 Once a proper EMF metamodel for instance is available, it should be possible to define bigger instance contexts, so that M0 generation can be triggered outside of an Instance Diagram. Only global instance rules are implemented at this stage. This page was last modified 21:03, 9 April 2008 by Eric Dillon.